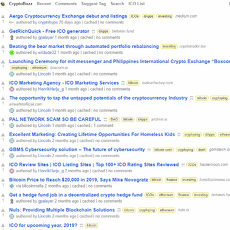 Cryptocoin has a rather terrible interface in my opinion, so let’s get my disgust for their color scheme out of the way first. I’m sorry…. It’s just so ugly!!! 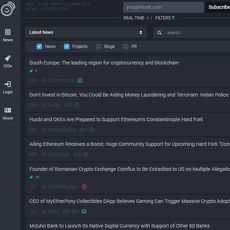 Aside from that, Cryptocoin is yet another cryptocurrency and blockchain news aggregator focusing on creating tailored news feeds from sources all around the internet. 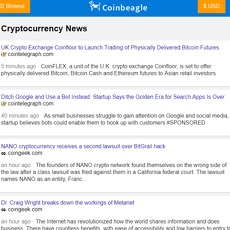 Something a little unique here is that the initial news feed that you’ll encounter is based on specific coins instead of just the general world of news that most aggregators display. 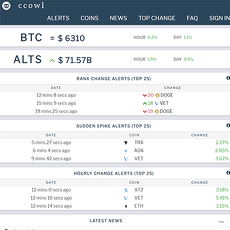 When you enter the site, your default options will be set to “all” which will display the latest news regarding the most popular coins. 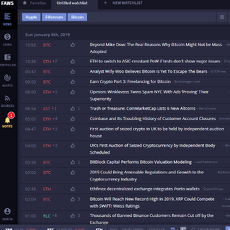 If you play with the filtering options, you can create a custom-tailored news list based on the coins you primarily have interest in. 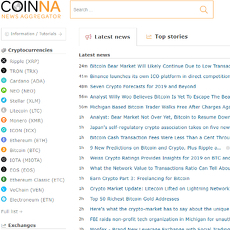 You can also find news on those coins at any historical date in time. There is also a “random cryptocoin” feature that will display a total mock up of a randomly chosen coin. Here you’ll find all of its information and a quick detailed explanation of the project. 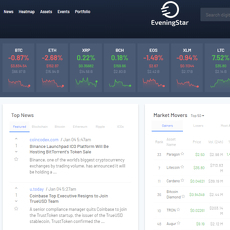 The info provided on each coin is very detailed and worth a look. The amount of detail on each coin is amazing. 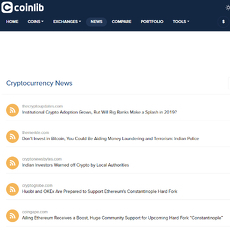 There is everything regarding each coin including links to other sources, their social media accounts, githubs, wallets, etc. 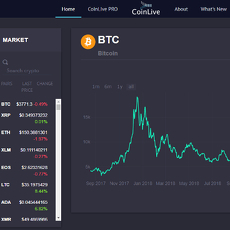 You can pretty well become an expert on a specific coin by using this site. 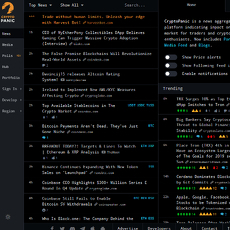 The site is really easy to use and the random crypto function is pretty entertaining to play with. This interface couldn’t get uglier.